The spring 2013 collection over at Front Row Shop dropped a few weeks ago, so I’ve been patiently waiting since then to receive my new floral suit in the mail. When it finally appeared on my doorstep a couple of days ago, I was super excited to rip the packaging apart and throw it on despite the absence of an occasion to wear it to. As usual, the quality was a lot higher than I thought it’d be — Front Row Shop is the king of offering trendy, quality pieces at a low price. Also, today is my birthday and I would just like to take this time to thank all my friends and family for putting up with my ridiculousness for the past 21 years. It is much appreciated!!! By Bianca Venerayan on March 11, 2013 at 1:58 pm | Posted in outfits, style guide and tagged blog, canada, fashion, floral, front row shop, style, toronto. 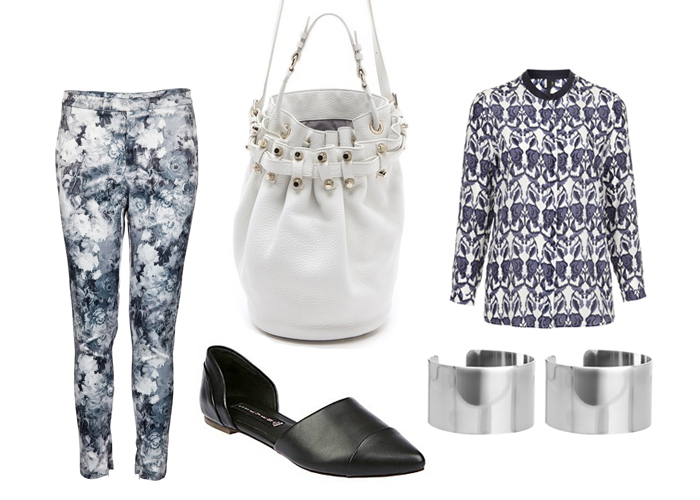 Love the mix & match, clashing of prints, the versatile combination you share on the blog ! You look so lovely, especially with that snowy backdrop! And I love that suit. It it’s got a great fit; I’ll have to check them out. You are perfection in this suit. You are such a boss, srsly.